Entrepreneurship ecosystems involve a set of individual, organizational, industry and environmental elements such as leadership, dynamic capabilities, culture, capital markets, networks, and open-minded customers that combine in complex ways. One of the main pillars in any ecosystem is the university because it may generate an adequate environment to support the university community’s exploration and exploitation of entrepreneurial activities. Previous studies have shown that universities also create their own entrepreneurial ecosystems, in which business incubators play a crucial role. The purpose of this study is to provide a better understanding of the role of an entrepreneurial university’s business incubators within the entrepreneurial process, in both the pre-incubation and incubation stages. 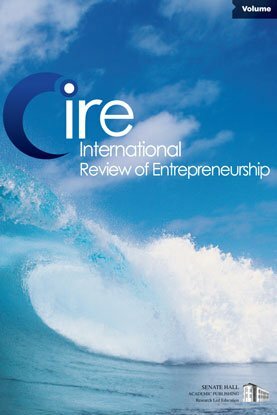 Adopting the entrepreneurial intention and entrepreneurial action approaches, a conceptual model is proposed and tested with data obtained from the Monterrey Institute of Technology and Higher Education (Mexico), as one of the most important multi-campus entrepreneurial universities in Latin America. Our results show a positive impact of entrepreneurial university business incubators on their students’ start-up intentions (pre-incubation) as well as on their supported technology-based enterprises (incubation). We discuss implications of our results for various entrepreneurial university stakeholders.